I took my mother to see this film so that she may understand through a movie what I could not share with her verbally but what she has witnessed physically with me. This is not a war movie but a film of what war does to you and how it affects you after you are no longer in physical war but your mind stays in mental war and no one understands ( EMPATHY) except those there with you. After 3 combat tours I identified with things that went over a lot of peoples heads but the movie moved me and Dream Works did a spot on job with what we with PTS go through and why its so hard to deal with and maybe if everyone saw this film they could see the inner turmoil a soldier, a marine, a airman, and a seaman goes through after experiencing physical and mental trauma. Thank You for your service hits on all aspects from the ptsd sufferer to the spouses and all around them. this is a must see to spread compassion to all who served. 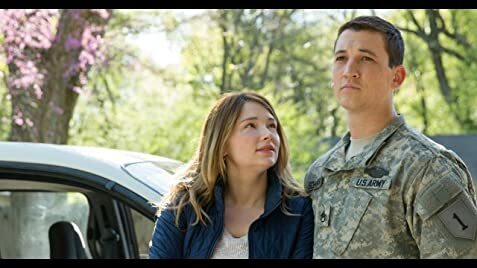 Amy Schumer donated all the money she earned for this movie to army war vet foundations. When Sergeant Emery is driving his car with Staff Sergeant Schumann riding in the passenger seat, notice that the outside shots show a silver Dodge Challenger (2-door) but inside shots show what appears to be a Dodge Charger (4-door). In any case, it's clear that there are back doors to the car with their own full windows which is inconsistent with the exterior appearance of the car.